China’s industrial energy consumption accounted for approximately 70% of national energy demand in the past four decades. Regarding energy demand and environmental pollution, success in controlling energy demand and reducing energy intensity for industrial sectors in China would play a crucial role for the country’s sustainable growth problems. To formulate targeted energy plans, the features and characters of China’s industrial energy intensity should be carefully evaluated. 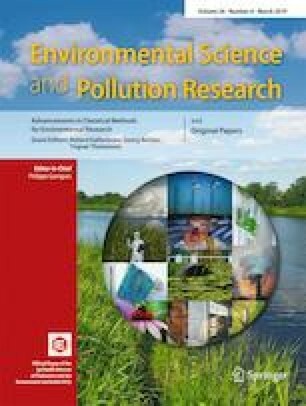 In this study, a carefully designed econometric model that considers different technological factors including indigenous R&D and technology spillovers from foreign direct investment and trade under a united framework is applied to investigate the β-convergence characteristics for China’s industrial energy intensity by employing a panel dataset covering China’s 34 industrial sectors over 2000–2010. The results verify the existence of β-convergence in industrial energy intensity during the sample period. For the industrial sectors overall and the light industrial sectors, the empirical results indicate that indigenous R&D and technology spillovers from FDI and imports are beneficial in curbing energy intensity. However, technology spillover through exports makes it harder to reduce energy intensity. In addition, not all technological factors have played a significant role in reducing energy intensity for the heavy industrial sectors. • The convergence of energy intensity for Chinese industrial sectors is investigated. • There is evidence that β-convergence exists. • Indigenous R&D activities play a key role in reducing China’s industrial energy intensity. • Technology spillovers coming from openness are beneficial for industrial energy intensity reduction except for the export.